RECAP: Jackie Bradley Jr. Blasts Grand Slam as #RedSox Take 2-1 Edge over Astros in ALCS. 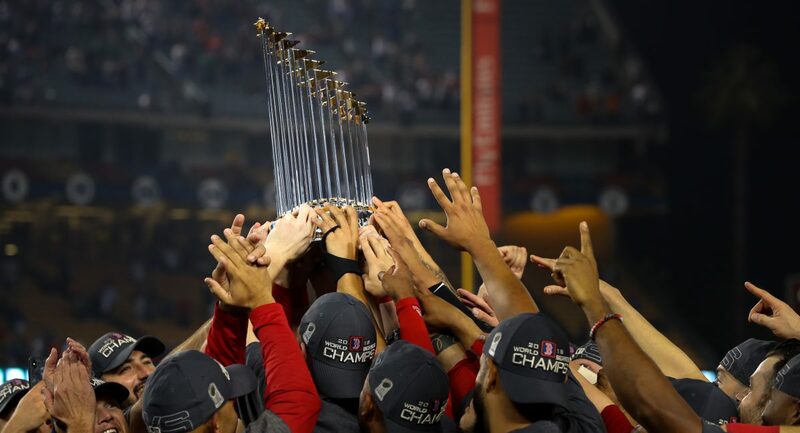 The Boston Red Sox are two victories away from heading to their 13th World Series following an 8-2 blowout win over the Houston Astros in the first of three games at Minute Maid Park on Tuesday night. Nathan Eovaldi got the start for Boston in this one, his second of the postseason, and he put together yet another solid outing in enemy territory as he did last Monday night in New York. Pitching six full innings, the right-hander surrendered all but two earned runs on six hits and two walks to go along with four strikeouts on the night. Despite dealing with a fair amount of traffic on the base paths, Eovaldi managed to hold his own against a team that can capitalize on mistakes in an instant by holding them to those two runs, the first of which came in the first and the second of which came in the fifth. Ending his outing by retiring three of the final four hitters he faced in Houston’s half of the sixth, Eovaldi’s night came to an end with his pitch count at 92. Out of those 92 pitches, 60 of which were strikes, the Houston native threw 30 cutters, 27 four-seam fastballs, 14 cutters, 11 splitters, and 10 sliders, which induced 10 total swinging strikes. He also topped out at 101 MPH with that four-seamer in the first inning and was responsible for eight of the game’s fastest 10 pitches on either side. For his first ever time in a postseason, Eovaldi has proven that he is very capable of performing at a high level on a bigger stage. In two starts this October, the 28-year-old is 2-0 with a 2.08 ERA over 13 innings pitched with nine strikeouts and only two walks over that span. In relief of Eovaldi, the Red Sox bullpen had themselves another memorable night, as they accounted for three scoreless innings to close this thing out. Ryan Brasier got the first call to start the seventh with a one-run lead to protect, and despite allowing the tying run to reach scoring position on a Jose Altuve bunt single and passed ball, was able to escape the jam by getting Alex Bregman to line out to center field to end the inning. Matt Barnes was next up for the eighth, moments after his team jumped out to an 8-2 advantage, and he followed up a leadoff walk by recording the first two outs of the frame. That made way for Joe Kelly, who retired the lone hitter he faced on a Carlos Correa, 6-3 ground out. Finally, Eduardo Rodriguez was responsible for the ninth in his first appearance of this series, and he closed things out in 1-2-3 fashion to secure an impactful win for his club. On the other side of things, the Red Sox lineup was matched up against Astros left-hander Dallas Keuchel, and they put up runs before the first out of the contest was even recorded. Back-to-back singles from Mookie Betts and Andrew Benintendi in the first set up a coolish JD Martinez in a nice run scoring spot, and the Red Sox’ DH came through with an RBI double to plate Betts and move Benintendi up to third. Just a few moments after that, Xander Bogaerts doubled his team’s early lead by scoring Benintendi on an RBI ground out. 2-0 game. Two innings later, with Martinez and Bogaerts on base following two straight walks from Keuchel, Steve Pearce appeared to come up with a crucial two out RBI knock on a sharp fly ball to left field, but Astros left fielder Tony Kemp, who is listed at 5’7”, made an improbable catch to end the third, or did he? Whether or not you think Kemp caught that ball clean or it hit the wall before it landed in his glove, I’m just glad it ended up not making all that much a difference in the final score. Fortunately for Pearce, he would have a chance to redeem himself in the sixth, and that he did on a one out, 1-0 88 MPH fastball from Astros reliever Joe Smith. That ball, Pearce’s first of the postseason, was sent 456 feet down the left field line, which according to The Boston Globe’s Alex Speier, is “the 4th longest Statcast-tracked postseason homer (2015-18), and the longest by a Red Sox.” It also put his team up 3-2, which is a lead they would not have to look back on. As a matter of fact, that lead inflated some more in the eighth inning, all with closer Roberto Osuna, who entered Tuesday with a career 5.28 ERA when pitching against Boston, on the mound for Houston. Igniting the rally was Rafael Devers, who didn’t even start this game, with a two out single to move Steve Pearce up to second. 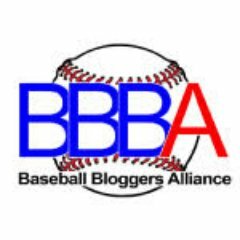 That was followed by consecutive HBPs of Brock Holt and Mitch Moreland, both of whom were pinch-hitting for Ian Kinsler and Christian Vazquez. The Holt HBP loaded the bases and the Moreland HBP served two purposes. One, it drove in Pearce from third, and two, it reloaded the bases for Jackie Bradley Jr. Already with a bases-clearing extra base hit under his belt in this series, the scorching Bradley Jr. capitalized on another huge RBI chance by unloading on a 94 MPH fastball that was up and in and pulled it to right for the game-sealing grand slam. From @SoxNotes: Steve Pearce has recorded at least 1 hit and scored at least 1 run in each of his 6 starts in the 2018 postseason. The only other Red Sox player ever to do that in 6 consecutive starts in a single postseason is Mike Lowell (2007). From @PeteAbe: Red Sox have outscored teams 28-6 on the road in three postseason games. From @Sean_McAdam: Bradley was 1-for-17 with seven strikeouts with the bases loaded during season. Last two ABs: 3-run double Sunday; grand slam tonight. Looking to go up 3-1 in this series tomorrow night, it will be Rick Porcello getting the starting nod for the Red Sox. Coming in with a 1.35 ERA over 6.2 innings pitched this October, Porcello has done a little bit of everything at an effective level. Starting, coming in as reliever, it really doesn’t seem to matter for the right-hander. Opposite Porcello will be veteran right-hander Charlie Morton for the Astros. Morton, 34, did not pitch for his club in their three-game sweep of the Cleveland Indians in the ALDS, and his last regular season start came on September 30th, so it will be interesting to see if there is some rust there. First pitch of the fourth game of the ALCS is scheduled for 8:39 PM ET Wednesday on TBS. Previous Previous post: RECAP: Jackie Bradley Jr.’s Go-Ahead Three-Run Double Lifts #RedSox to 7-5 Win over Astros in Game Two of ALCS. Next Next post: RECAP: Andrew Benintendi Makes Game-Saving Catch in Ninth Inning as #RedSox Jump up 3-1 on Astros in ALCS.